Štip is a significant cultural, educational, and economic center in east Macedonia. The textile and fashion industries are located in this town of 51,947 citizens. It's located on 86 km from the capital Skopje and from the nearby city Veles, is just 40 km away. 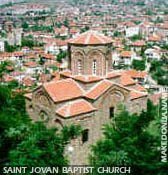 Štip is one of the oldest cities in the Republic of Macedonia. It's settled on an altitude of 300 meters above the sea level. First time is mentioned in the ancient period, under it's ancient name Astibo, that occurs in connection with Peonia. Later it's known as Stipion. When the Slavs came in the 6th-7th century AD, the city was renamed, it became Štip. The city was included in Tzar Samoil's medieval Macedonian state and after this came under the administration of a succession of conquerors. At the end of Samoil's reign, the city was conquered by the Byzantines; at the beginning of the 13th century, it was conquered by the Bulgarians, and then, after the famous battle near Velebuzd, the city was conquered by the Serb King Stefan Dečanski. Finally in 1382, it fell under Turkish rule. 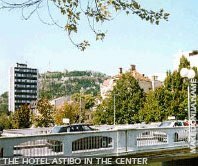 The present city has retained many cultural monuments from different periods which give witness to the past of the city Štip. The first known opera performance in Macedonia was held in Štip in 1925. Today, a festival of popular music "Mak-Fest" is held here each year. Kale (Fortress) Isar is located between the rivers Bregalnica and Otinja. Exact records of the time of the construction of the fortress have not been found. Some of the 19m high fortress walls have been preserved. During the middle ages, churches were built on all four sides of the fortress. In 1332, they built a church dedicated to St. Archangel Michael. The second church, built in 1341, was dedicated to St. Nikola, and a few years later, the third church - which has been preserved in its original form until the present day. The last church dedicated to St. Vasilie, was located on the north side of the fortress, and it was built in 1337. 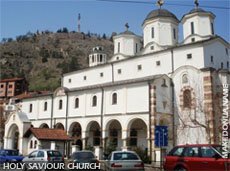 The church Holy Savior (St. Spas) is located on the left bank of the river Otinja. According to the preserved data, it was built in 1369, as the inheritance of the duke Dimitar. Today, from the old frescos, remain only certain parts representing the old prophets, several saints of the synod church and the beautiful compositions Transfiguration and The Holy Indivisible Trinity. The bezisten (old Turkish market) is located in the center of the city. It is built of stone, and it is supposed to have originated from the 16th or the 17th century. Today, this construction is being used as an art gallery. The Church St. Jovan Baptists (Jovan Krstitel) is located under the fortress Isar. It was built in 1350. Its exterior presents you with a small, one-nave church without a cupola. The church painting has preserved only fragments which very poorly depict the images of Tzar Constantine and of his wife Elena, as well as the image of a holy warrior. Near Štip, along the shore of the river Bregalnica, there is the Kežovica spa. The temperature of the thermal-mineral water here reaches 62oC, and the radioactivity - 42,82 moch units. The spa water is believed to cure rheumatism, bone joint and nervous diseases, diabetes, arteriosclerosis and high blood pressure. A few kilometers from the town is the classical site of Bargala and Astibo.